booklover's delight. If you are not familiar with Powell's it is a four story building that takes up an entire city block and is full of books. Books of every imaginable kind. 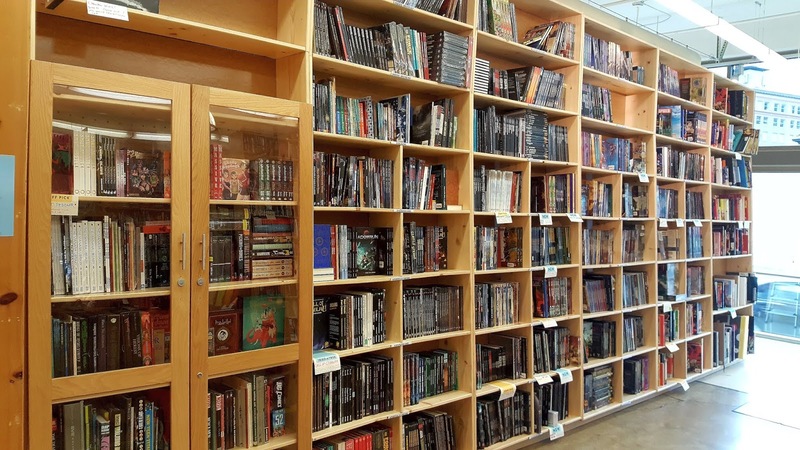 A bibliophile's heaven. I could spend days there if I had the time and the money. 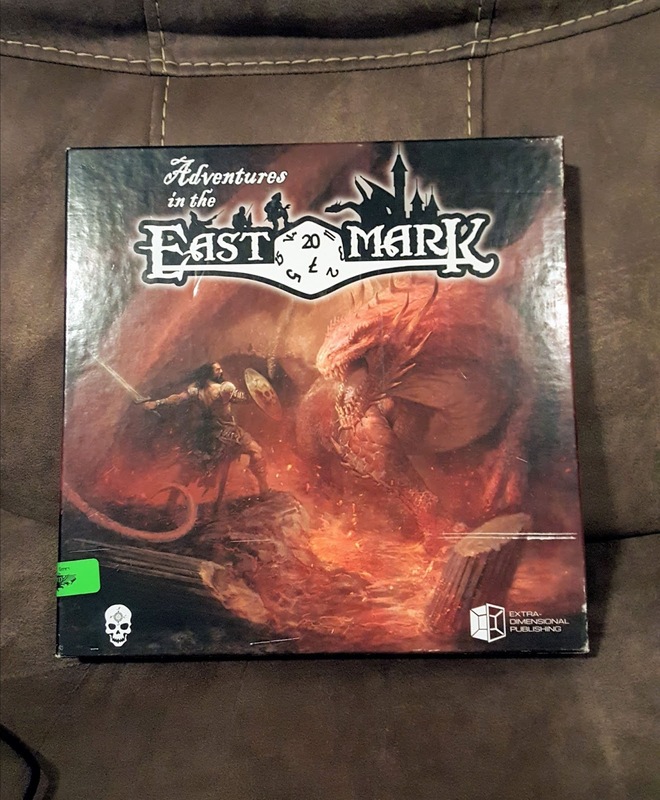 I had never been to Guardian Games before. It is the largest game store I have ever been in. A huge amount of board games. 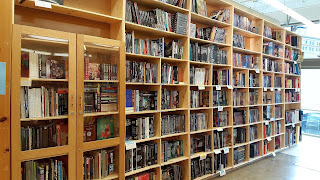 A large selection of RPGs. A bunch of other stuff I didn't have time to really look at, including a corner just for Legos. 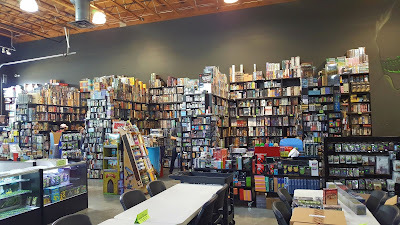 The board games shelves at Guardian Games. Can you find the hidden people? 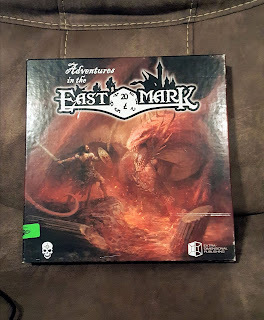 Between the two stores, beside the requisite history books, I purchased the core rules of Dungeon Crawl Classics and a used boxed set of Adventures in the East Mark. It was a fun trip. The boys enjoyed themselves and we got to visit two great stores.